Outlined below are the steps to submit your “Day of Geography” contribution by email. 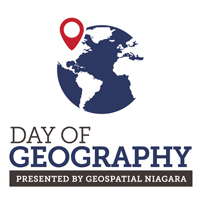 First, story register your interest in contributing to “Day of Geography” by sending an email to dayofgeography@gmail.com so we can be aware to expect a submission. You will be added to a list of email contributors. Email submissions will be accepted throughout the year for inclusion on the Day of Geography website. 2. In the body of the email, store again, include your name, your city/country and the title of your submission. Write your submission as the body of the email or attach your submission as a word document. Please embed any links within the email or word document. 3. Please include a short bio about yourself. 4. Attach any photos to the email indicating any captions that are desired. Please include a listing of photo credits, or the permission to use the photos. 1. Please make the subject of the email – Your name – city/country – Title of your submission. 2. In the body of the email, again, include your name, your city/country and the title of your submission. 3. Provide a brief description of the video to include with the posting. 4. Provide a link to where the video is hosted. *** Please note the Acceptable Use and Post Moderation policy extends to email submissions and is outlined below.